Over the years I have been privileged to spend a lot of time with vintage Ferraris. These are notes, observations, pictures and stories about some of those experiences. When I first went to see the Spyder Corsa, it was in need of attention. 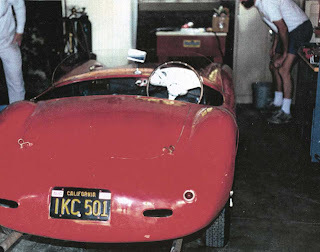 It is chassis number 014I and belonged to Norm Blank, who had owned it for a long time. Oddly, most provenance records leave Charles Betz out of the ownership chain, but he bought it from Michael Peake and sold it to Norm. In fact, I saw the receipt and (if memory serves me) Norm bought it from Chas around Christmas of 1969. 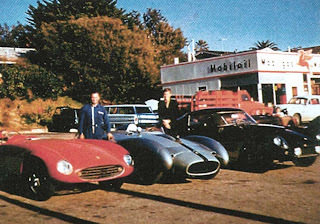 There’s a cool picture of it when Peake owned it along with a black TdF (0905GT), the first production TR (0710) and the Spyder Corsa (014I). 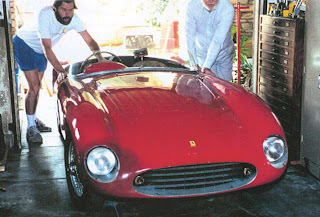 Over time Charles bought the TdF (which became his business partner Fred Peter’s first Ferrari), looked at the TR but bought the first prototype TR instead, and sold the 166 to Norm. 014I is a beautiful example of the way cars were made and modified back in the day. Hand drilled lightening holes were everywhere. Things were cut off and welded on in the crudest ways you could imagine. At some point the body was removed and a new enclosed shell added. The body was clearly built by Scaglietti, their touch and technique is all over it. To me it looks like a little 410S, the side vents and squared wheel wells and proportions put it around 1955 or '56 to my eye. The way the old body was hacked away, leaving partial tubes here and there, was ugly. Yet someone cut the gas tank to a new low profile and did a superb job. There were things clearly original and things clearly updated. 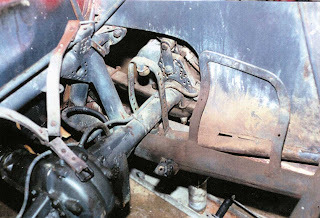 The block was a newer type 166 while the drive gear and brakes appeared to be original. There were several "Prancing Horse" bolts. It was just fascinating. Here’s a story that blew me away. 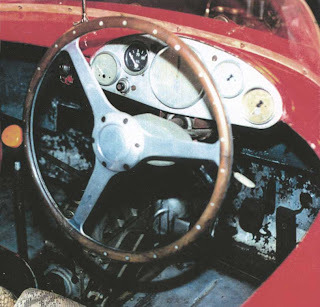 The first time I saw the car Norm was going through his lengthy starting procedure, filling the little priming funnels, fiddling with the ignition; and he lights it off. Charles is standing there, and we’re all enchanted as it rumbled and rocked on it’s mounts, and Chas says “These two plug wires are reversed”, motioning to a couple wires on the left bank. Norm had a buddy that had worked on the car. “No, it's fine, the wires haven't been touched in years and it’s just the way my guy left it. 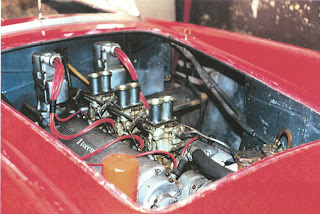 It always acts like this, it’s the way they were.” So Chas finally gets Norm to acquiesce and switches the wires (which were not in the traditional tubes at this point), and the engine settles into a glassy smooth idle. Not only does Chas immediately recognize that the issue is firing order, but which two cylinders are the ones in question. I’m in awe and Norm is a convert. The original rock hard period tires were on 4 inch wheels. 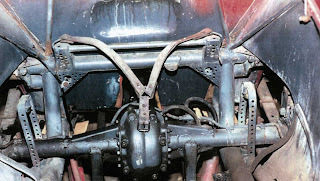 I don't know how racers drove on those things and Phil Hill said I could never imagine how bad they really were. Betz and Peters loaned Norm a set of 4 1/2 inch wheels with good tires so he could enjoy the car. One day I was driving him around in the hills overlooking the Rose Bowl and the oil pressure started to drop. We took it back and didn’t drive it again. Over time Tom Shaugnessey started spending time with Norm and he too loved the car. When Norm passed away Tom was able to buy the car and gave it a good home and drove the pants off of it. Happy to see it happen. But I gotta tell you, that’s a spirited little car. You can really toss it around and the acceleration is amazing for a two-liter engine. It‘s so nimble! This car is actually one of the two (some say three) built on a shorter wheelbase and that may explain some of its agility, but it is really quick in the turns. I feel like I have a small taste of what the drivers of the period must have felt while driving this little gem. It is truly a champ.